Over the past few months, Twitter has been used as an effective campaign tool to expose the corporate misdemeanors of many large companies, including Trafigura, H&M, and KFC. Paperchase is the latest recipient of a growing internet fire-storm, facing criticism over claims that the stationery giant allegedly plagiarised the artwork of a British, independent artist, decorating notebooks, tote bags and albums, and making them available for sale around the UK. It’s clear that the world has changed. There is simply nowhere for companies to hide: do something wrong or embarrassing, and internet users will respond rapidly to expose the corporate scandal in a matter of minutes. The artist in question is HiddenEloise, a British independent artist who sells artwork via Etsy and other independent online stores. Discovering that Paperchase had allegedly stolen and “badly traced” one of her unique designs, she contacted the stationery company to ask for the artwork to be removed from their shops and Amazon. Not only has Paperchase ignored her, but it is now selling even more products featuring the plagiarised artwork. Realising that contacting the lawyers would result in astronomically high legal fees that she simply couldn’t afford ($40,000 for court expenses), HiddenEloise instead took to her blog, accusing Paperchase of plagiarism, and asking readers to contact the stationery firm directly. This blog post was subsequently tweeted by the English science fiction author, Neil Gaiman. With his approximately 1.5 million followers, it’s unsurprising that the story was quickly gathered momentum on Twitter and was subsequently retweeted thousands of of times. It is now one of Twitter’s top 10 trending topics, which spells trouble for Paperchase. This latest scandal really demonstrates the power of the influencers: it only takes one influential Twitter user for a campaign to go viral. Stephen Fry proved this last year with the Trafigura scandal. In addition, Twitter has empowered people like never before: previously independent artists – like HiddenEloise – would have little or no chance of sticking it to The Man. But now, through the power of social media, the world is very different. Big brands simply cannot afford to underestimate the power of blogs, Twitter and social networking sites. These are the biggest echo chambers you can imagine. In some ways – as a cool, design-led and innovative brand – Paperchase is the ideal company to have a social presence, yet a quick Google search reveals it has little or no presence on the major social networks. Although it has a Facebook page with more than 2,000 fans, the page has not been updated since 2008. And, with no Twitter presence at all, it’s difficult to see how Paperchase will resolve this internet firestorm. So, what can companies learn from Paperchase? Companies can no longer afford to bury their head in the sand or ignore the opinions of their customers. Customers are much more empowered through social channels. Quite simply, if you do something wrong, expect to be exposed publicly within seconds, minutes or hours. Companies need to work with bloggers and their most influential customers in order to build advocacy and their brand reputation. With limited presence on the major social networks, Paperchase has very few options in terms of how to deal with this latest crisis. Aside from email, there’s really no other way for customers to contact the company. All organisations need to have appropriate policies and guidelines covering how to deal rapidly with such online scandals. It’s crucial to have appropriate reputation management tools in place so companies can deal with responses before they go viral. And last but not least, having a social presence will enable companies to distribute messages to their customers quickly, and in real-time. The Vodafone #beavergate scandal provides a great example of how companies can resolve such online firestorms. Vodafone is to be commended on its rapid response via Twitter, as well as its openness and transparency, as Dan Bowsher of Vodafone responded to criticism directly on the Econsultancy blog. Paperchase has traditionally been perceived as a well-known, trusted brand on the high street, so it will be interesting to see how the company responds to this latest backlash. Update: Paperchase are now on Twitter. Both Paperchase and the agency concerned have released an official statement on the Paperchase website. Kevin Smith and Southwest: when should companies avoid the “social media sorry”? Another week, another Twitter travesty. This week it’s Kevin Smith, who was kicked off a Southwest flight when the flight’s captain apparently made the call that he was too heavy to occupy a single seat. Smith is a movie director with more than 1.5m followers on Twitter, and he let them know about his ordeal in near real-time. 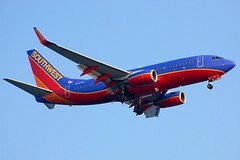 The outcome was predictable: a new Twitter-induced media storm, and PR nightmare for Southwest. It’s 2010, and HBO is getting with the digital revolution. This week the cable network started streaming its content online. With a tagline of “It’s HBO on your computer,” all of the network’s series and films will now be available for streaming — to existing subscribers — at HBOGO.com. HBO’s premium content is the reason that more than a few consumers spring for cable. But the network isn’t ready to bring their films and series directly to the public. They can always do that later, but it may be too late by then to make up the strides that Netflix has been making in online streaming. WeCanDo.BIZ is an online network which helps SMEs find sales leads and business referrals, and it also offers a sales lead service for Twitter. I’ve been talking to CEO Ian Hendry about the company, the potential of Twitter for finding leads, and the effects of social media on Customer Relationship Management (CRM).